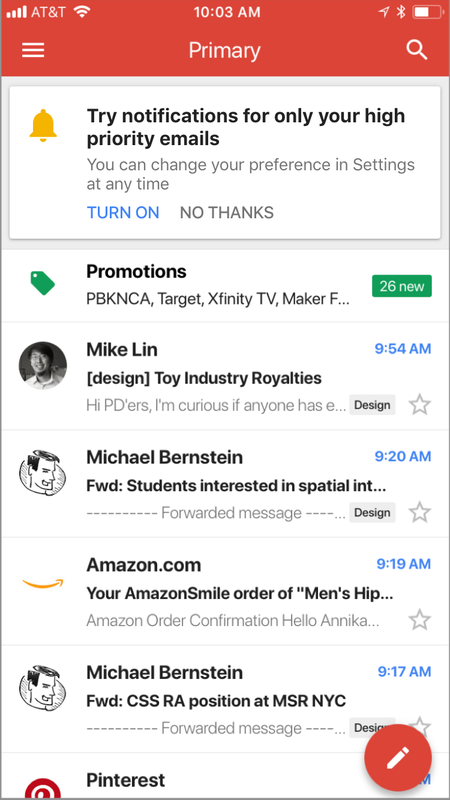 The migration of the functionality more successful Inbox Gmail continues to be unstoppable, and Google started implementing some new features very interesting that make Gmail a better email manager, with options that automate your inbox to make it more efficient. Among the latest developments in reach, Google is preparing options for filter post and give more visbilidad to the especially relevant, whether gathering the promotional emails under a same space or renovating the notifications, now more specific. In addition, to unsubscribe from the newsletters will be easier. While the new data protection law european (RGPDus has made it much easier for the job lately, up to now in Gmail nothing you invited people to unsubscribe from the newsletters more heavy. This is going to change now: Google wants to sugerírtelo when it detects that it is necessary. 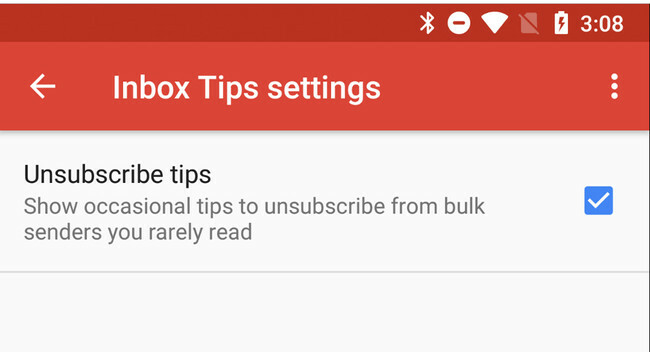 from the version 8.9 of the application, according to the analysis of the code of the APK made by Android Police, Gmail opens an option that you will be suggesting to unsubscribe from those newsletters that you read once in a while. In this way, stop receiving emails irrelevant to those who normally don’t pay attention and will just take up space. Google recently announced in the official blog that your mail application, Gmail, came to iOS with a novelty very much relevant in the notifications of new mail. According to Google, his new role would begin to use the artificial intelligence and machine learning to notify only those emails relevant. change The sort of Gmail to generate altertas is a novelty that the Google already advanced for the event for developers Google I/O and that, finally, is coming to all versions of the application. Google explains that the management of the mail alerts changes to reduce their frequency and number and start to discriminate between important emails, according to our own criteria, or emails that do not have as much relevance and, therefore, is can be expected in the input tray. 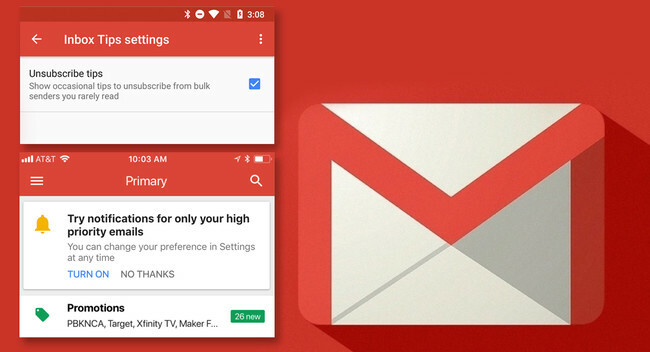 This will be achieved with a new tool that Gmail will suggest to enable: Notifications only to e high-priority. The notifications are only useful if you have the time to read them, and if you receive notifications hundreds of times the day, it is likely that you do not do it. That is why we present a function that only lets you know when emails arrive important in your Gmail inbox, so that you know when it requires your attention really. This new function, which we have already seen in Inbox, could getting to Android in its next update to the version 8.6, according to the analysis of the APK that have made the companions of Android Police. Package e: To further improve the management of the emails in the new Gmail, Google prepares a new tool that will identify and place in a single entry the email similar to that received in the tray, which will be decorated only with the logos and the affairs of the post shortened.Will begin to apply this function with the promotional emails. The news Gmail continues to take features of Inbox: all the news that will bring the next version was originally published in Xataka Android by Toni Noguera .